One of my favorite prints with a high slit? Pretty much was love at first sight. I kept the outfit in the same color scheme--playing off the colors in the skirt. Found myself a pretty red wall, and bam. Here you go. I don´t like animal prints, but this great on you :) Amazing look! You look gorgeous girl! 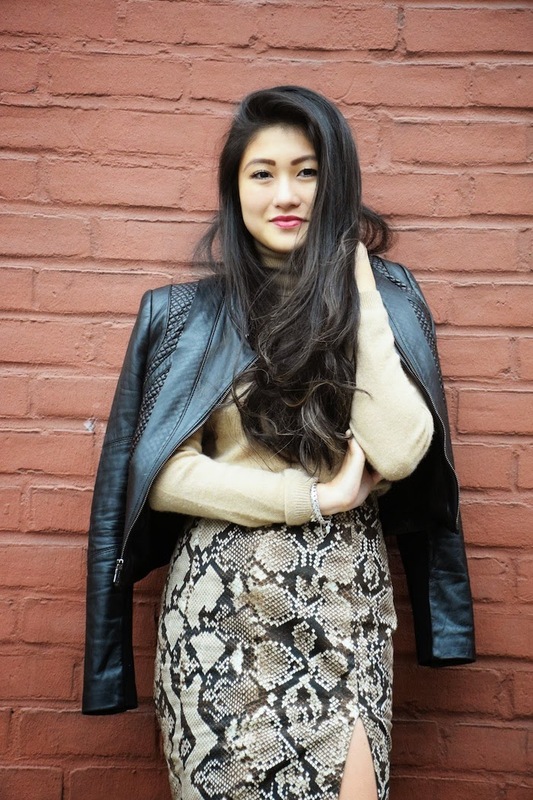 That snakeskin skirt is to die for!